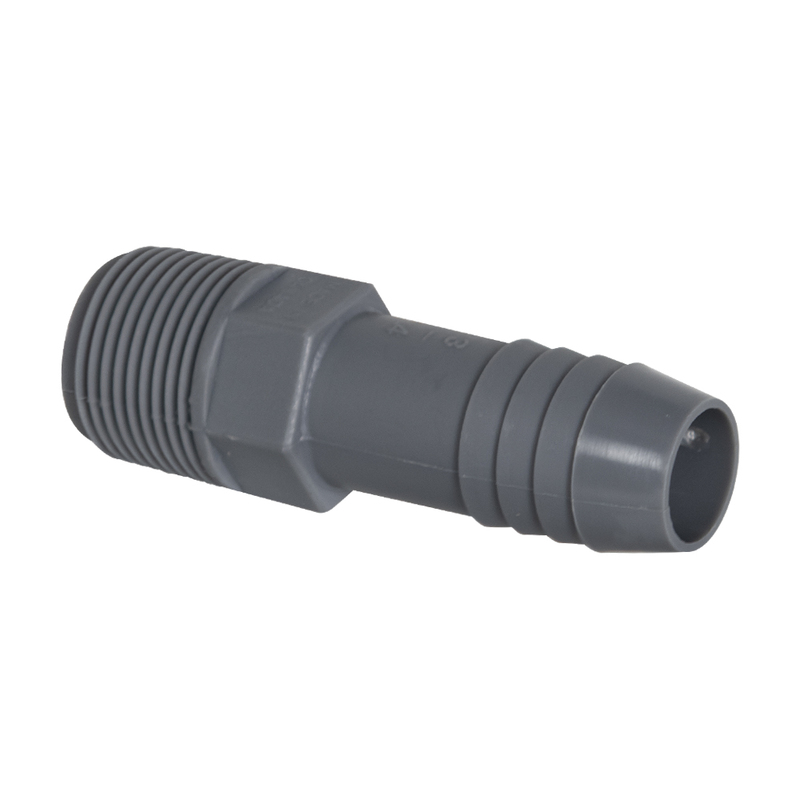 1-1/2" PVC Adapter | U.S. Plastic Corp. This PVC Adapter is 1-1/2" MPT x 1-1/2" barbed insert for flexible PE pipe. The barbed insert end measures 1.125" inside diameter and 1.665" outside diameter of the barbs. Polyethylene pipe should be clamped with one clamp over the barbs plus one additional clamp.